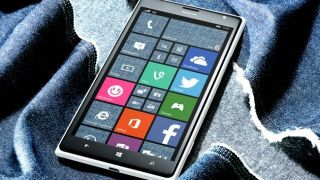 Want to test the next Windows 10 Mobile preview build? Don't hold your breath. The next sneak peak of the mobile operating system was supposed to come out today, but it has been delayed, according to Gabriel Aul, Microsoft's Vice President of WDG Engineering Systems. Aul posted the news on his Twitter feed this morning. Essentially, Microsoft discovered an issue that would have caused subsequent versions of the beta system to not install over the proposed current build. Users would have been required to "reflash" in order to move onto the next build, Aul said. In order to remedy the issue, Aul said his team will be "working over the weekend here" in order to "get it out as soon as we can while ensuring quality." Aul said the issue could only have been discovered by installing a subsequent build, which is why Microsoft was so late in catching the issue. Aul apologized to his Twitter followers and said the issue will be resolved "early next week." "As Insiders you're seeing the real process of making an extremely complex piece of software. There are bumps," he added. Aul's apologies didn't dissuade some of his followers from vocalizing their displeasure. Stelios Kalitzis said in response to the news that the delay is a "Totally failure [sic] one more time for Microsoft and [Aul] personally!" A Twitter user named Das Jessy said the delay could prompt Windows users to move to competitors: "We fully understand but at some point you are promoting folks to move over android/iphone..You are giving them the proper reason to." Some users were more forgiving. "Thanks for the update. Don't let the haters get you down. Complex system with lots of chances for errors - we get it," Fritz Pabst posted. The last major Windows 10 Mobile build was released last month. The updated preview, Build 10512, featured improvements to overall performance, as well as interface changes and bug fixes. Windows 10 Mobile was initially rumored to go live in September. However, recent reports indicate the operating system likely won't reach the masses as a final product until November. Given the recent hiccup, it's clear the build process is fluid and Microsoft is dedicated to creating a system of transparency. "In the past, and with other companies, you see nothing, then an event, and final product. Bumps all hidden from you," Aul explained. If you're interested in previewing the mobile operating system, check out this primer on how to download the preview today.